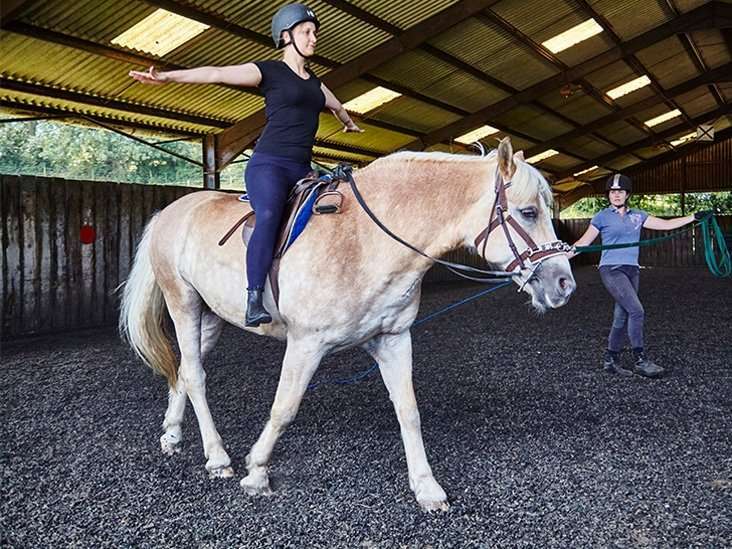 These lessons are available to all who are wishing to either fine tune their existing riding skills as well as help beginners in the early stages of their training to aid with balance and posture. The Instructor takes complete control of the horse and works it on the lunge whilst the rider can take this valuable time to concentrate solely on their position without having to worry about controlling the horse’s paces. This is an invaluable lesson in balance and one that will be noticeable in your next flat lesson! Please refer to our Terms and Conditions for restrictions that may apply.